To celebrate the release of scary new horror movie The Vatican Tapes this January, we look at some of the best occult-related places to visit in London. Get spooked! From roads and walls, to our laws and language, the Romans left a huge visible mark on our culture and history. They also contributed to the spread of global Christianity under the reign of Emperor Constantine. What are less well known are the pagan Mithraic mysteries – an ancient cult with roots dating back to 500BC, but later to be embraced by Rome. These involved the ritualistic slaughter of bulls and included a seven-grade system of initiation. 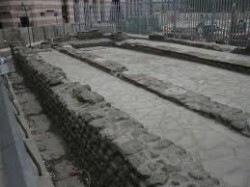 When the Romans came to Britain they constructed underground temples for the worship of Mithras – and some of these incredible temples have recently been discovered in London – including one remarkable 60-feet long, 26-feet wide temple beneath the now underground River Wallbrook. Who knew? The Knights Templar were established in England in 1128 when French nobleman, Hughes de Payens, visited to raise a war chest and fighting men for the Crusades. 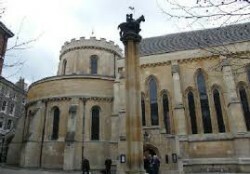 In London, they eventually came to occupy a precinct between the Thames and Fleet Street which they divided into the Outer, Middle Temples and the Inner Temple or Temple Church. Accusations of occult practice and heresy were levelled at the order by Philip IV of France in an attempt break up an increasingly powerful organisation that he now owed large sums of money. It is from here that Templars became targets of religious persecution from the Catholic Church and figures of mystery and romance still even now. As the 20th century neared, London became esoterically linked to ancient Egypt and other sacred cities, when an obelisk from the ancient capital of Heliopolis was installed on the south bank of the Thames. Like Rome and Paris before it, and New York shortly thereafter, London now possessed one of the most highly charged artefacts in the ancient tradition, an Egyptian obelisk; a powerful talisman to the sun god. Cleopatra’s Needle, as the London obelisk is known, is flanked by two replica sphinxes that appear to guard the ancient structure. 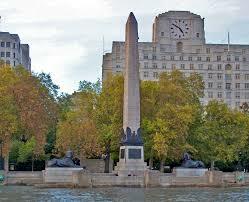 In fact, sphinxes adorn the whole of London’s Embankment, including armrests on the benches along the Thames. In 1917, during World War I, a bomb from a German air raid landed near the obelisk but inexplicably, produced no damage. Have the sphinx protected London since their placement? The occult order known as The Hermetic Order of the Golden Dawn’s first temple, Isis-Urania, was created by Samuel Liddell Mathers in 1888. It was here at Thavies Inn, off Holborn Circus that their magical rituals where conducted. Their rituals were said to reenact the processes of life and death and lead the initiates into greater hidden knowledge. The Golden Dawn grew rapidly, converting 50 members in its first year and another 250 in its second, before imploding into various sects but leaving us the infamous master magician Aleister Crowley.